this weekend i had the opportunity to explore the north shore, where the agates that I use in the freshwater collection come from, for the first time. 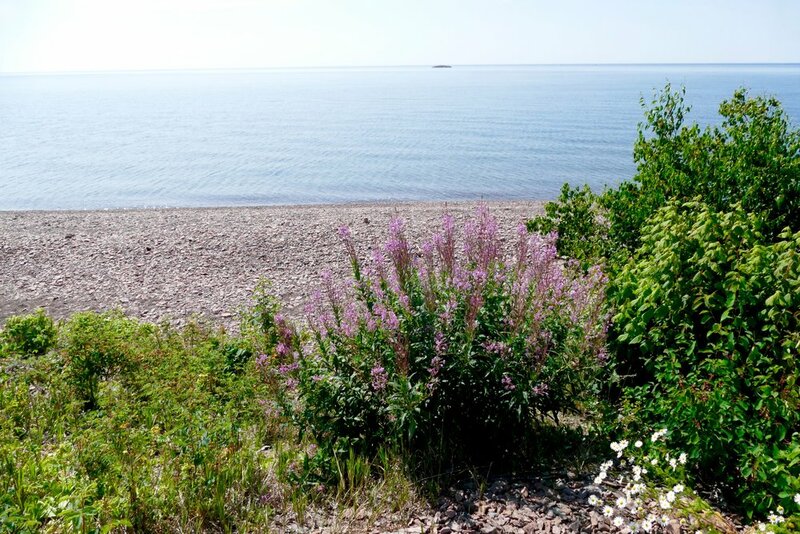 the north shore is an incredibly beautiful part of minnesota & midsummer finds it in full bloom. on the first day of the trip, we hit the beaches to check out some of the stones that lake superior smooths & organizes on her shores. 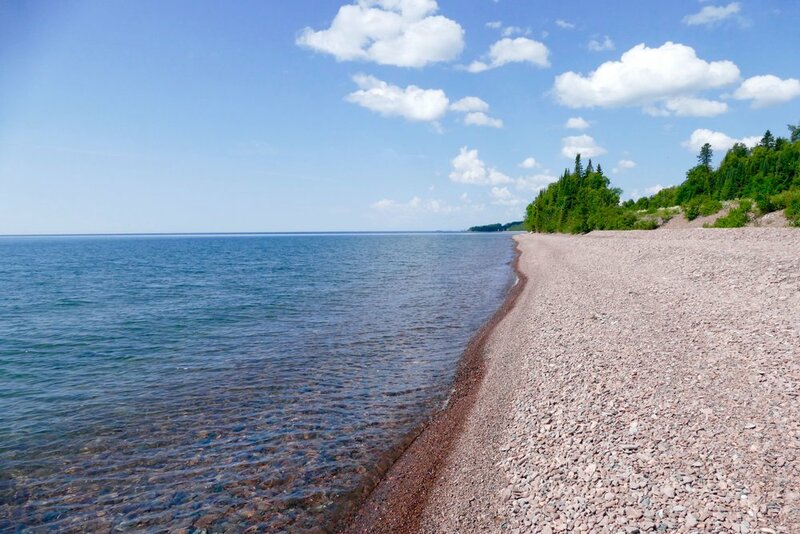 if you're lucky, you can find agates on these rocky beaches! I didn't find any agates this time, but I did find a lot of beautiful raw red jasper. and I also took the opportunity to snag some photos of the freshwater collection guitar string earrings in their natural habitat. it's amazing how their colors echo the landscape! there's nothing quite like experiencing the calming, healing landscape that these grounding stones come from. it is a pleasure to work with them & an honor to share their beauty with you. you can find the freshwater collection in the shop. thanks for reading!